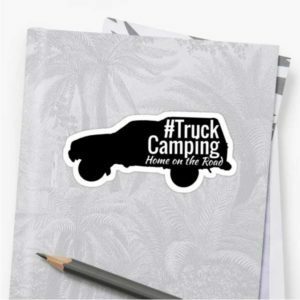 Getting ready to go truck camping? 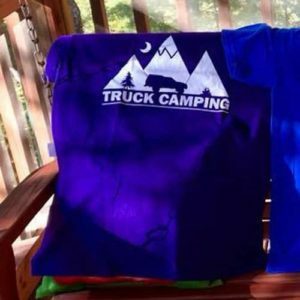 Below you will find the truck camping gear and truck camping accessories that I use and love, and will allow you to get ready, get outfitted, and get on the road for your truck camping adventures. Truck canopy camping is an incredibly freeing lifestyle, but is important to be both well prepared while avbackcoiding overpacking. 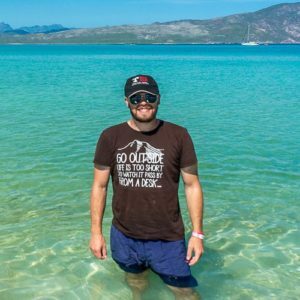 If you’re new here, don’t miss my guide to getting started truck camping or how to build a truck camping setup. The name of the game is minimalism and multi-use when it comes to truck camping, and the same should go for your truck camping gear. 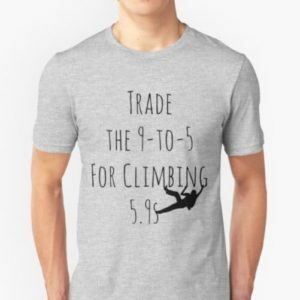 I believe in buying the highest quality gear I can afford, while also purchasing gear that serves my other interests, like backpacking or climbing. 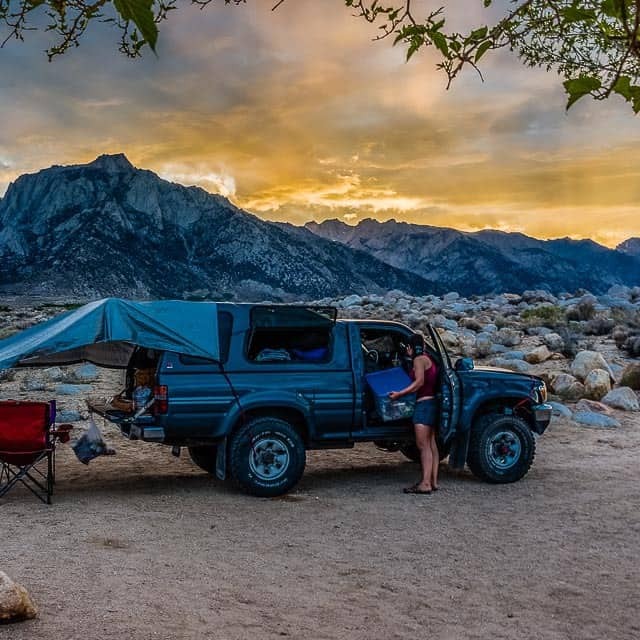 These are the truck bed camping accessories that I use and recommend (along with a few generic items when not so important). 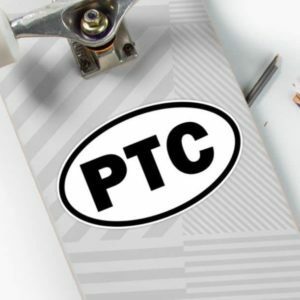 Note: Links below are affiliate links, this means that I get a small commission if you purchase anything at all through Amazon , REI, or Backcountry.com, at absolutely no additional cost to you. Teton Sports Camp Pad – I like this solid foam mattress because it is designed to be rolled up and stored. Read more about choosing a sleeping mattress or pad for truck camping. Marmot Plasma 15 Sleeping Bag – Get a high quality down sleeping bag. 15 degrees will give you great coverage and temperature range. I’ve slept in the Canadian Rockies in the winter with a 15 degree bag. Light Cotton Sheet – When temps get too hot, I switch to a simple cotton sheet. Dark colors are best because, well, truck camping. Pillow – Brands not so important as is the style… A regular pillow is best, because memory foam freezes! Travel size isn’t necessary since you are truck camping. REI Camp Xtra Chair – A nice foldable chair will make life at camp a little better, better yet, grab at least two chairs. Petzl Tikka Headlamp – Having a hands free light source is one of those crucial items. Pee Bottle – Having a place to go in the middle of the night if you are camped in a parking lot is crucial. If you’re a woman, add a GoGirl. Plastic Boxes to Organize – I use two Sterilite 106 quart boxes to keep my gear neat and organized. Curtains and/or Magic Shades – Simple black cloth curtains or the incredible Magic Shades for privacy while sleeping inside. Can Safe – Great for peace of mind – toss one behind your seat and store some extra money, a credit card, even a spare truck key in case of emergencies. 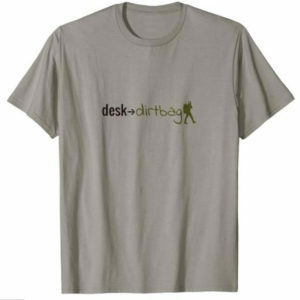 Plastic Paint Drop Cloth – I toss one down near the entry of my truck to avoid mud, dust, etc. 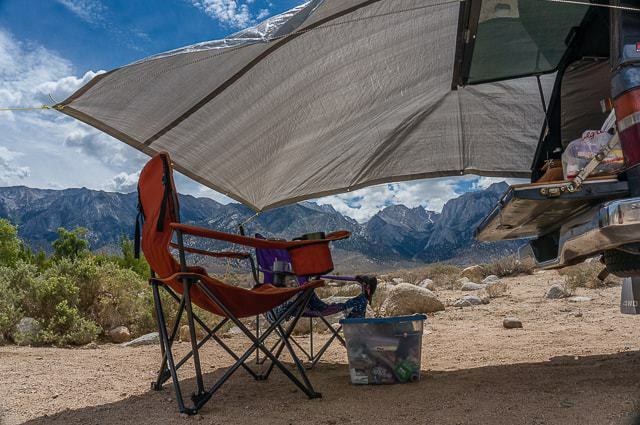 Awning – I use a combination of an 8×10 plastic tarp, my trekking poles, and bungee cords, but the wish list item would be an ARB awning. Personal Fan – If you have an inverter and dual battery (see below), this is a must for hot weather camping. Hand / Foot Warmers – It’s nice to have a few emergency hand warmers around when you have the opposite problem while camping in the winter. Wet Wipes – This is the quick and easy way to shower while on the road, but some choose to use a solar shower. Bug Netting – String up a large mesh netting if you plan to camp in bad mosquito areas — like we ran into on the coast of Mexico. 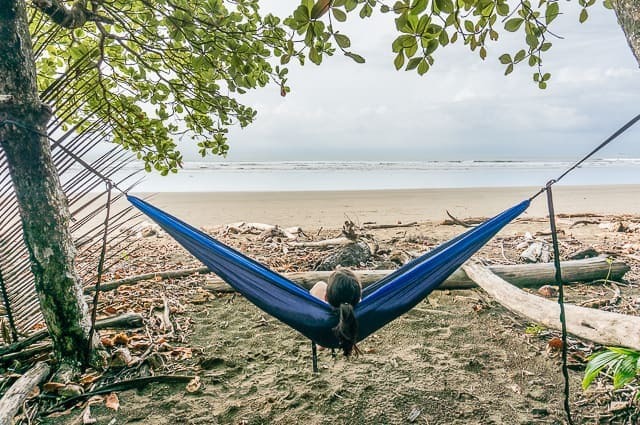 ENO DoubleNest Hammock – Not strictly truck camping, but it’s great to have while camping in general. REI Half Dome 2 Tent – I always carry a tent, even though I sleep in my truck. If I settled into place for a few nights, I would often set up the tent to leave behind some of my bulky gear. Large Umbrella – Important for when you have to setup camp in the rain. I keep it behind my seat. Snowboard Cable Lock – Very versatile to lock things up at camp (your chair, a solar panel, etc) but I also use it to lock my canopy door from the inside while sleeping. Small Brush and Dust Pan – Clean up the dust and dirt. Roll of Velcro – Great for sticking things (clock, lights) to your carpeted headliner. Duct Tape – Good for pretty much anything. Weatherstripping – For sealing around the tailgate and other open areas, prevents or minimizes dust and dirt. Temperature and Humidity Monitor – I stick this inside my headliner so I know just how hot or cold it is while sleeping inside. I’ve spanned over 100 degrees! Coleman Dual Burner Propane Stove – Two burners will allow you to cook pretty much whatever you like, unless you want to bake. Propane Tank Hose Adapter – This adapter will let you use a larger fuel tank and keep you going longer. 5 or 11 lb Propane Tank – Reduce waste and refueling by buying a larger fuel tank to keep you on the road longer. 20 pound tanks are excessively large for truck camping. 7-Gallon Reliance Water Tank – This big blue tank keeps me going for up to a week without refilling. Titanium Pot – Something to cook up your spaghetti with. I have one titanium pot with a 1-liter capacity. 8″ Non-Stick Pan – To fry up your eggs and bacon. I keep two 8″ fry pans on hand. SteriPen – Water purification is important, I have been using the SteriPen for years and haven’t gotten sick. Chef’s Knife – One big chef’s knife for all your vegetable cutting and cooking needs. Doubles for security duty as well. Nalgene Bottles – I’d recommend at least two liters carrying capacity. Vegetable Peeler – For potatoes and such — eggs with potatoes, onions, and tomatoes is excellent! Insulated Bowl – Food cools down a lot quicker outside. Read how to make your own DIY insulated bowl. Flexible Cutting Board – Flexible is better for packing than the rigid ones. Aeropress Coffee Maker – Don’t settle for bad coffee, make great coffee instead. 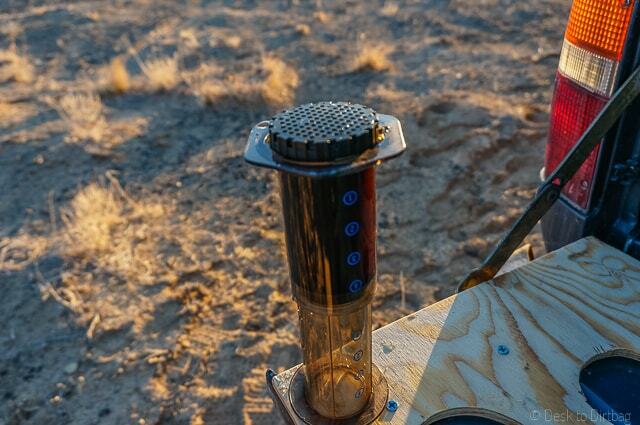 Read my full guide on how to make the best coffee while camping. Hario Coffee Grinder – Grinding your coffee fresh is one of the most important steps in making great coffee. Spices for Cooking – Don’t forget to bring the salt, pepper, garlic powder, oregano, and so forth! Tapatio hot sauce is another one of my must haves. Kitchen Bag – A soft-sided bag is better to organize your awkwardly shaped kitchen stuff rather than a box. Cooler – Something to keep your beer and fresh food cold so long as you got ice on hand. A YETI cooler would be the ideal, or the upgrade would be an ARB fridge. Food Box or Boxes – I keep two large plastic boxes in my vehicle to organize my food. Thermos 24oz Food Jar – Use this to reduce your fuel usage, you can boil up pasta and dump it into the food jar to finish cooking. Lots of other uses for this awesome accessory while truck camping. HydroFlask Bottle – These are great for keeping your water cool in hot climates or keeping your water from freezing in cold climates. Hand Sanitizer – I keep different sized bottles stored around the truck, with the kitchen bag, in the cab, etc. 400w Power Inverter – Makes it so you can plug in regular electronics like your computer to the car battery. One of the best things you can add to your truck camping setup. Battery Isolator – This is what keeps the two batteries separated so you only draw from the secondary battery and not your truck’s starter battery. VERY important. Read more details about my dual battery and isolator setup. Rechargeable LED Lanterns – I prefer non-mounted lights, that way I can place them where I want them, whether that’s on a picnic table, on the tailgate, or somewhere inside. Garmin GPS – How I’ve been able to drive all the way to South America without getting (too) lost. I’ve got the Garmin 2598LMTD. Jumper Cables – Your dual battery setup should help prevent the need, but you never know. They’ve come in handy to give jumps to other people at least. Mixed Auto Repair Tool Set – It’s great to have a wide selection of tools on hand for small repairs. Universal Lug Wrench, 4-Way Cross Wrench – Get a burly cross style lug wrench if you ever need to swap out a wheel after a flat. Fire Extinguisher – Hopefully never needed. First Aid Kit – Always good to have kept behind the seat or otherwise accessible. Quick Dry Travel Towel – When you find a place to shower every couple weeks, you’ll need a quick dry towel. Merino Wool Shirts – Being on the road isn’t conducive to doing laundry. Merino wool shirts don’t stink like cotton or polyester. MontBell Alpine Light Down Jacket – A nice mid-weight down jacket will keep you warm in all but the most severe climates. 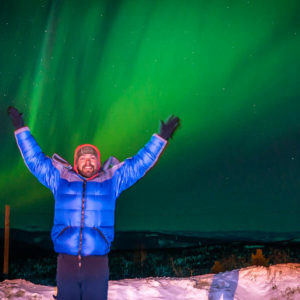 Patagonia Thermal Underwear – Great for shoulder season or winter camping. Feathered Friends Jackorack Wind Jacket – This doubles as a rain jacket in light drizzles, but I mostly rely on the aforementioned umbrella when it’s raining. Read about the importance of a wind jacket, one of my most used pieces of gear. Feathered Friends Down Booties – These are amazing for cold nights at camp, seriously! Sleeping Socks – These SmartWool Mountaineering Socks make a good substitution to keep your feet toasty warm. All Purpose Shoes – Minimize the number of shoes you have. Try to find something that serves for your hobbies (say climbing or hiking) and around camp and in town. Slide-On Sandals – Something you can wear with socks works best for when you need to quickly hop out of the truck in the evenings or mornings. Buff – These things serve so many purposes, and it has become indispensable while camping. Plus it takes up absolutely no room. 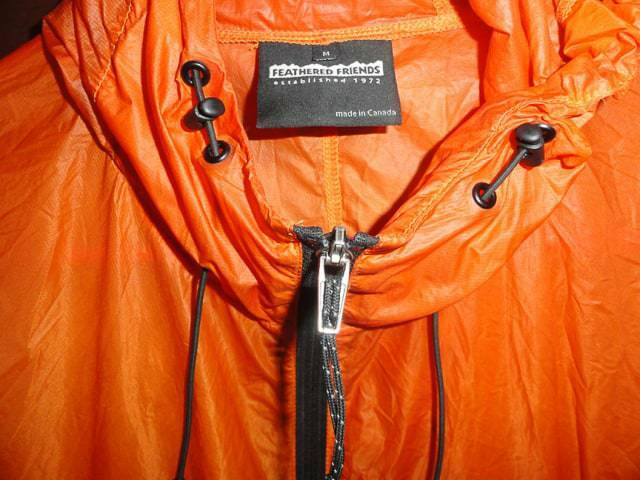 Duffel Bag – I organize my regular clothes and camping specific clothes in a medium sized duffel bag rather than a box. Unlocked Cellphone – It can double as a mobile hotspot with your data plan so you can access the internet on your laptop. Kindle Paperwhite – The best way to read while traveling. 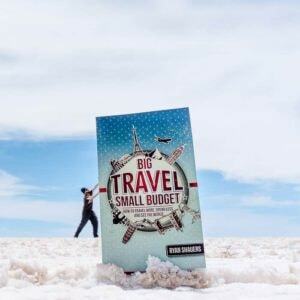 Pick up one of these amazing road trip books or these top travel inspiration reads. BioLite SolarPanel 5+ – With a dual battery setup you don’t need solar power, but I like a small portable device to charge little things if I’m camped out for a while. The sun is shining, seems like a waste not to take advantage of it. 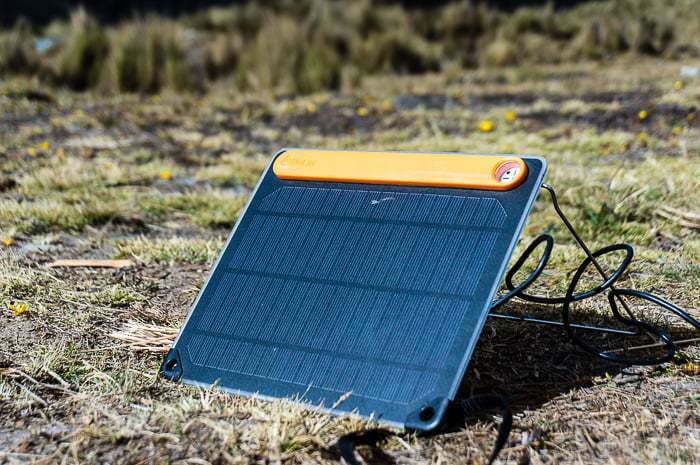 Read more about my thoughts on the BioLite SolarPanel 5+. Sony NEX-6 – You need something to capture all those amazing truck camping adventures. The Sony NEX-6 is a mirrorless camera (smaller and more portable than a DSLR) that packs a big punch. Ravelli Camera Tripod – A sturdy camera tripod to capture amazing nature or night shots. DOSS Bluetooth Speaker – If you’re not camped near anyone else, it’s great for putting on a podcast, music, or watching a movie at night on your laptop. Classic iPod – You could use your phone, but I love having a dedicated music player to load up with tons of gigabytes worth of music, books on tape, etc. SPOT GPS Messenger – How I let my friends and loved ones know that everything is alright when I’m camped way off the grid with no cell service. GoPro – The GoPro is amazing for taking action shots, underwater shots, or even mounting it to the roof of your truck and getting shots as you drive. External Hard Drive – Backup your photos regularly and stash the external hard drive away from your computer in another part of the truck in case of theft. Samsung Laptop Ultrabook – Load it up with movies, start a blog about your truck camping adventures, or catch up on emails offline. AAA Batteries, AA Batteries – Spare batteries for headlamps, lights, etc. So there you have it! 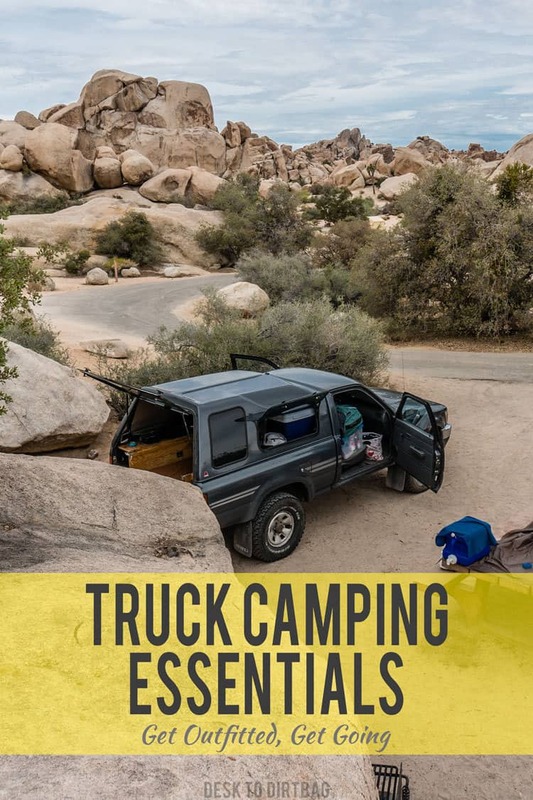 This is the truck camping gear and accessories that I carry with me, use, and recommend. Much of this gear and truck bed camping accessories has been with me since the beginning (years ago and many 10’s of thousands of miles) and taken me truck camping from Seattle to the Canadian Rockies to the beaches of Central America to sleeping at 14,000 feet in the Peruvian Andes… And everywhere in between. 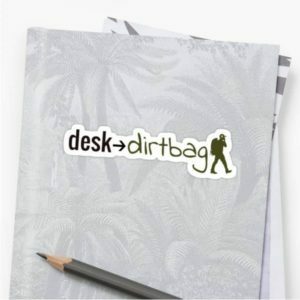 Purchasing gear through the Desk to Dirtbag Truck Camping Store goes directly toward bringing you more amazing FREE content from my travels and adventures. 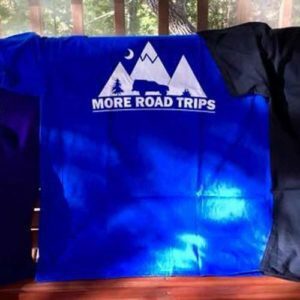 You can also donate a tank of gas or cup of coffee if you’ve found this content helpful, or purchase other gear directly through the Desk to Dirtbag Shop. 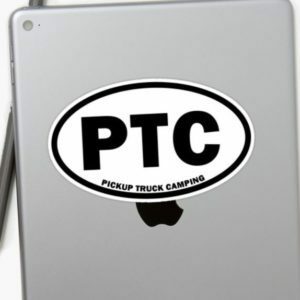 Join the private Facebook group Pickup Truck Camping to ask questions and share your insights. We are now over ten thousand active members! 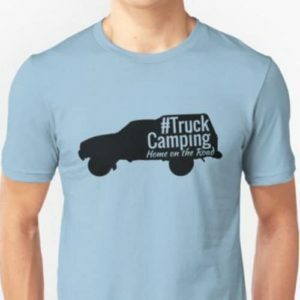 Did you enjoy this post about truck camping accessories and gear? Please take a moment to share it on Facebook, Pinterest, or Twitter.